Need help hanging Christmas lights? 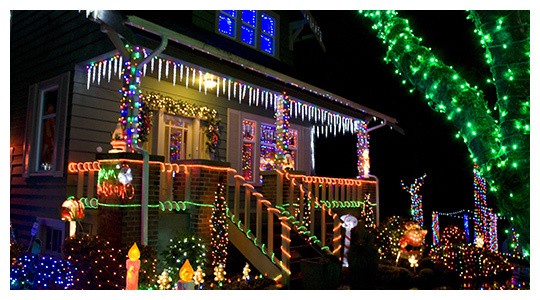 ASE Outdoor Solutions can handle all of your residential and commercial Christmas light installations. Contact us today to learn how we can help you safely turn your property into a winter wonderland this holiday season. Christmas just isn’t Christmas until the twinkling lights adorn the houses and trees. However, these lights and holiday decorations don’t magically appear every winter. Rather, properly hanging Christmas lights and decorations takes time, effort, and equipment. Not only is the process time-consuming, but it is also potentially dangerous. 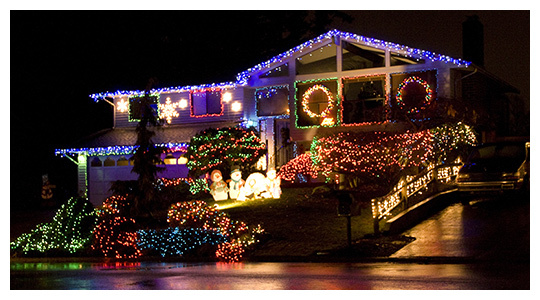 If you would like to decorate your home or business with Christmas lights, contact us today to book our services. ASE Outdoor Solutions offers professional holiday lighting and Chrimstas light installation for residential and commercial clients in Barberton, Akron, Cuyahoga Falls, Medina, Brunswick, and many other locations throughout our service area. Holiday light design consultation — When it comes to Christmas light designs, the options are seemingly endless. Whether you have a specific vision for your holiday decorations or just know that you want something that looks “nice,” our light installers can work with you to find a solution that meets your needs and budget. Professional Christmas light installation — Not only is the ASE Outdoor Solutions team experts at landscaping and lawn care, but they also have the experience and equipment to expertly install Christmas lights and decorations. We take pride in providing high-quality, professional installations. Necessary maintenance — Our goal is for you to have holiday lights that look great all season long. If something goes wrong with the lights that we installed, give us a call and we will help resolve the solution in a timely manner. Prompt removal of lights and decorations — After all the holiday festivities come to an end, our crew will return to your home or business and take down your lights and decorations. During removals, we apply the same attention to detail and care. From small dangling icicle lights to a herd of illuminated reindeer, we can transform your residential property into a winter wonderland. Contact us today to learn more! 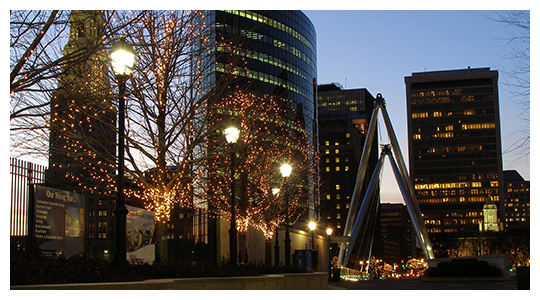 From shopping centers to hospitals to municipalities, our Christmas light installers can handle virtually any commercial installation whether it’s a roofline, landscape, or trees. Give us a call to get your free estimate. ASE Outdoor Solutions is a team of landscapers, lawn care professionals, and outdoor-solutions experts with almost two decades of experience. We take tremendous pride in all of our services, and we love helping our community’s homeowners and business owners make Ohio a more beautiful place. When you partner with us, we always take a one-on-one approach to meet your individual goals. We guarantee punctuality, respect, courtesy, communication, and superior work. If you are dreading the thought of digging through boxes in the garage, untangling lights, climbing up on a ladder on a cold, blustery day, and stringing your lights? Let ASE Outdoor Solutions help! Our goal is to take the hassle out of holiday lighting and give you more time to spend time with family and enjoy your holidays (we also offer snow removal).